WebM Video Converter, Convert WebM to AVI, WMV, MPG, FLV, MP3, MP4 for iPod, iPad, iPhone, PSP, Tablet PCs, and many PMPs! Any Video Converter free is the most popular video converter freeware for converting WebM files. The free WebM Converter offers an easy way to convert WebM videos to the more common formats including AVI, MP4, WMV, MPG, FLV, MKV, etc. This free WebM Converter offers your many amazing features like split video into many small clips by trim; optionally merge and sort them to make a creative movie; remove unwanted parts on screen by crop; tune saturation, contrast, brightness by effects feature; capture favored images while previewing the video in PNG format. Additionally, it gives you the ability to download YouTube video and burn videos to DVD-R/RW, DVD+R/RW disc. If you want to convert WebM videos specialized for your PMPs such as iPhone, iPod, PSP, Zune, Windows Mobile, etc, you can upgrade to the WebM video converter professional version - Any Video Converter Pro. Or, please upgrade to Any DVD Converter Pro. to convert DVD to WebM format. * With Syncios, a free iOS manager, you could transfer the WEBM video files to your iPhone, iPad, iPod touch for enjoyment. 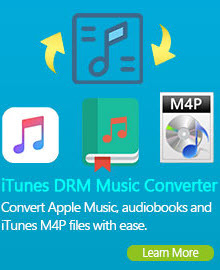 If you are running on Mac OS X, go to Free WebM to MP3 Converter --Free Any Video Converter for Mac. It supports converting video from and to WebM, FLV, AVI, MP4, MPEG, WMV, MKV, 3GP, MP3, etc. for enjoyment on iPod, iPhone, PSP, tablets, mobile devices anywhere and anytime. 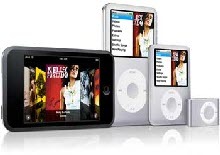 If you are looking for a Mac WebM Video Converter, iPod Manager, YouTube Downloader. 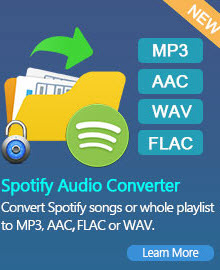 Free Any Video Converter for Mac will be the best choice for you. With Any Video Converter free, you can easily convert WebM files (*.webm) to AVI, WMV, MPEG-1, MPEG-2, MPEG-4, FLV, SWF, MKV, MP3, M4A, WMA, WAV, AAC and OGG files. With this versatile free WebM Converter, you can not only convert WebM videos to various portable video and audio players, but also able to convert almost all popular video formats to WebM files. Apart from its powerful video conversion feature, you can customize various settings such as video size, sample rate, frame rate, etc. to get best WebM video quality. •	Support a wide range of video formats (3g2, 3gp, 3gpp, 3gp2, amv, asf, avi, avs, dat, divx, dv, dvr-ms, f4v, flv, m1v, m2p, m2t, m2ts, m2v, m4v, mkv, mod, mov, mp4, mpe, mpeg, mpeg2, mpeg4, mpg, mpv, mts, nsv, ogg, ogm, ogv, qt, rm, rmvb, tod, trp, tp, ts, vob, vro, wmv, webm). •	Clip video into many segments and merge several videos into one file; Tune saturation, contrast, brightness; flip and rotate WebM video into any side view as you like. •	Simple settings, high output quality and user-friendly interface. only a few clicks complete the task of converting video. •	Provide fast converting speed by multithreading, so fast beyond your imagination. •	Both multithreading and batch conversion supported. •	Free WebM video converter is absolutely for free. How to use Free WebM Converter to convert WebM video to AVI, MP4, WMV Step by Step? Download, install and run Free WebM Converter. Simply click Add button to import WebM video files from your hard drive to the program. Batch video conversion mode and merging videos are supported. Click drop-down list of "profile" to choose your desired format, AVI, MP4 or other formats. Under preview window, click Clipping video or Video Crop Effect to personalize your video. You can also customize video and audio settings (e.g. Video Codec, Video Bitrate, Audio Codec, Audio Bitrate, Audio Channel) in Free WebM Converter to enhance the experience of enjoying output videos. Click Convert button to start converting WebM videos to desired format. After conversion, you may click "Output Folder" button to get the converted video. Wanna convert DVD to WebM file? Any DVD Converter Pro converts DVD to WebM perfectly. In contrary, free WebM converter also supports converting various video formats to WebM. The key input formats supported by free WebM converter: 3g2, 3gp, 3gpp, 3gp2, amv, asf, avi, avs, dat, divx, dv, dvr-ms, f4v, flv, m1v, m2p, m2t, m2ts, m2v, m4v, mkv, mod, mov, mp4, mpe, mpeg, mpeg2, mpeg4, mpg, mpv, mts, nsv, ogg, ogm, ogv, qt, rm, rmvb, tod, trp, tp, ts, vob, vro, wmv. Downloading and converting YouTube video to WebM is also available. Just with a few clicks and several seconds, WebM video converter helps you to save the online YouTube video in WebM format. Free WebM converter offers you another characteristic: burn WebM videos to CD/DVD with DVD Menu and create ISO/DVD Folder. This free WebM video converter could burn your favorite WebM video clips or any other video formats to DVD so that you can play it on home DVD player sharing with your friends and family members. With this WebM to DVD burner, you will be prompted to choose DVD menu when the program finishes WebM to DVD conversion process. So just with a few clicks you can easily and quickly burn your desired WebM videos to a playable DVD. Just enjoy it. A WebM file consists of VP8 video and Vorbis audio streams, in a container based on a profile of Matroska. The project releases WebM related software under a BSD license and all users are granted a worldwide, non-exclusive, no-charge, royalty-free patent license. Despite this, some in the industry have called upon Google to provide indemnification against patent suits. Native WebM support by Mozilla Firefox 4, Opera 10.6, and Google Chrome was announced at the 2010 Google I/O conference. However, not every web browser natively supports WebM. Media players such as VLC, Miro, and Winamp, have announced support. MPlayer has native support for playing WebM files.